Most home improvement projects require at least some moving around from place to place with tools, and that can get to be both a back-breaker and a time-waster. It’s no wonder we’re seeing as many rolling toolboxes around job sites as we see rolling suitcases in airports. What the pros look for in a rolling toolbox is versatility, not just capacity. It has to have the capacity to store all the necessary power tools, hand tools, and fasteners. Keeping things together is also key to starting and finishing jobs efficiently. A good box opens out to allow access to everything, without the need to completely unpack or disassemble the box. 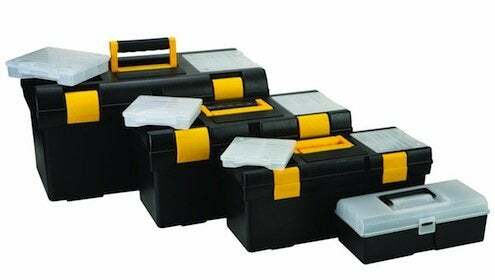 Central locking mechanisms make it easier to keep tools secure. Many rolling boxes are built sturdy enough to use as a step. Wheels should be able to get you and your tools up and down stairs and through snow or mud. And the handles should be easy to retract and adjustable to the height of its fortunate owner.